December 7, 1941 is remembered as a dark day in the history of American naval fleet and Pearl Harbor. On a fine Sunday morning when the American navy units were busy doing their normal routine work, the surprise attack from Japanese’s navy stunned the world. This attack was so unpredictable that the entire American navy went in deep shock. Very few of them realized the emergent need to manage and control their position to save the naval power. All the staff and ships that were present at the Pearl Harbor suffered massive loss. Just a couple of hours of bombing gave the Pearl Harbor, a battlefield view with fire and smoke emerging from every corner. The attack left American navy at a loss of 2400 of her best men as well as 21 ships that were either sunk or completely demolished. In addition, 188 aircrafts were also turned into ashes. This left Americans in a state of extreme anger and aggression to an extent that they declared the World War II against Japan. But why did Japan attack Pearl Harbor? Pearl Harbor attack was actually a preventive strategy adopted by the Japanese government to put a hold on the unnecessary interference of U.S. President Franklin D. Roosevelt in the internal affairs of Japan. But there are a number of other factors that fueled the Japanese anger and led them to attack the US base as retaliation. Here are some other reasons given by critics. The most important reason was the ban imposed by President Roosevelt on the trade functions of Japan especially export of oil, steel and crap iron. This ban gave a great set back to Japanese economy and their trade and military was adversely affected. 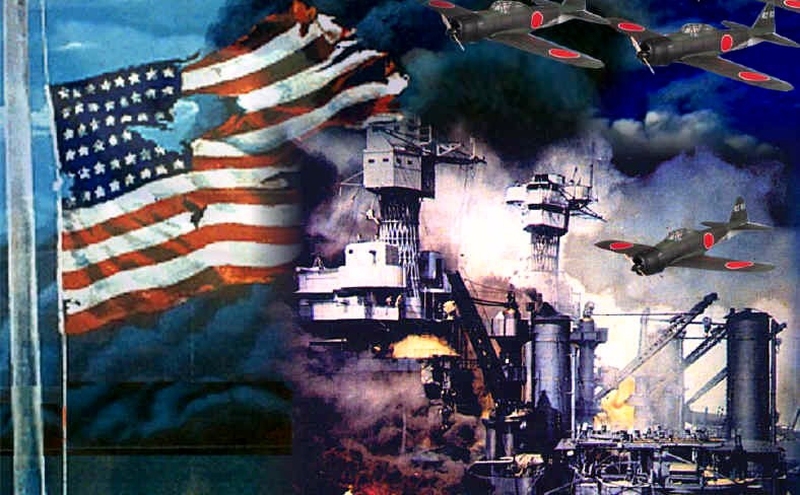 Japanese were on the way to emerge as the strongest naval power but America stood in their way. So Japanese wanted to clean their competitor and earn the title. America had not overcome the loss and outcome of World War I and they did not want to involve in another war that can take many lives. The Japanese thought that their idea of surprise attack was too powerful that would destroy the American navy and all its hopes. America also wanted Japan to withdraw from north Indo-China. Japanese were eager to take control of Asia but Americans won’t allow it. So they had only two options either to fight for control or just keep silent. The Americans were confident that naval base located at Pearl Harbor was safe from any attack but they were wrong as Japanese had a greater vision and they had planned and practiced with accuracy. The Japanese planned that they would destroy the American backbone by demolishing its naval base and Americans would never regain the moral to hit back again. On December 7 at around 8:00, the sky above Pearl Harbor was changed suddenly. Japanese aircrafts carrying bullets and bombs ran over the harbor. Bullets were exchanged and bombs were blasted on every ship that was present on harbor at that moment. The first victim of bombardment was USS-Arizona. A bomb directly got into the artillery center and the whole ship turned into an explosive bombshell and soon it sank. The second one to get injured was USS Oklahoma. It got hit by many torpedoes and finally lost its control and turned upside down killing all its crew members. In the end there was no ship that was left unaffected. Around 18 ships, over 300 aircrafts were destroyed in this attack. Although this attack was very expensive and risky, it failed to achieve its targets. As the main targets were the aircraft carriers and they were not at Pearl Harbor at that very moment; secondly the attack was executed on the battleships, while rest of the structure of Pearl Harbor was left untouched and safe due to which American re-grew their navy so powerful again. The surprise attack left whole of America in pain and distress. President Roosevelt immediately got hold of the situation and came to address the nation and assured them that not only will American navy re-establish the lost power, it will also fight against those who had done this. This statement was a question mark for many of America. Because the memories of World War 1 were still fresh. But with major support and strong determination the president was able to pass a declaration for imposing the war and attacking Japan from the congress on December 8. At the end, Japanese who actually wanted Americans to remove the ban that they had imposed on the Japanese trades and exports were ended up actually igniting US anger.